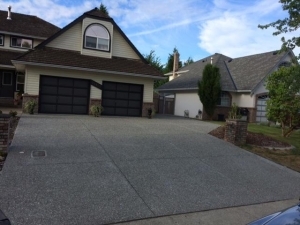 Since 1998, Captain Concrete has enhanced the looks and functionality of homes and businesses in Langley BC and throughout the Lower Mainland. We specialize in “Start to Finish” concrete services that include everything from design and planning to demolition and grading to pouring concrete. Owner Darrell Rempel brings 30 years of expertise and his courteous crews are diligent, professional, and efficient at finishing jobs on time. We do everything from concrete driveways, walkways, parking lots, patios, pool decks, and other unique projects like gazebos and amphitheaters. Get Your Concrete Quote Today! In recent years, Langley has experienced incredible growth as families move further east to find affordable housing. The addition of brand new condo and townhouse developments have created hundreds of new homes and many houses in older neighborhoods are being renovated to provide upscale accommodations. This means that our concrete contractors are kept busy throughout Langley BC replacing old cracked or sunken driveways, pouring new walkways and sidewalks for strata complexes, and even adding design savvy patios and pool decks for backyard entertaining. Langley’s mild climate year round means that our concrete contractors can work on projects during any month of the year, as long as we get a stretch of temperatures above 5° Celsius. Our poly covering and insulated tarps help protect your fresh concrete in cooler months. 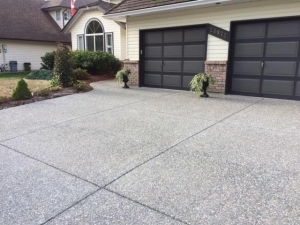 Our concrete contractors in Langley service the entire city, including Aldergrove, Brookswood, Campbell Valley, Glen Valley, Fort Langley, Murrayville, Otter District, Salmon River, Walnut Grove and Willoughby Heights. We can suggest the best concrete finishes including broomed, exposed aggregate, or stamped and offer wallet-friendly strategies to complete your project on time and within budget. 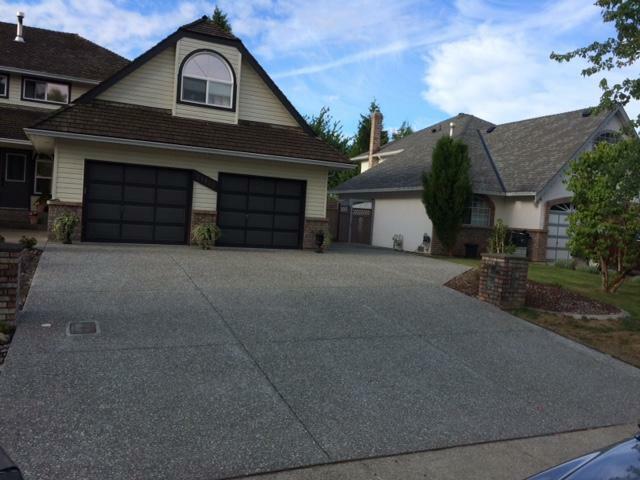 Here is just one concrete driveway we’ve recently completed Langley! New exposed aggregate concrete driveway in Langley. Notice the extra parking space to the left! Call our Langley Concrete Contractors Today! We have an A+ rating with the Better Business Bureau and are also members of the Concrete Network. Our concrete services book up quickly – particularly from early March through late September. To get a free cost estimate or to reserve your job with Captain Concrete, please call us at 604-302-0020.